Banner Tales is an organisation dedicated to the preservation of the social and mining heritage of West Gateshead as we believe that every Banner tells a Tale. 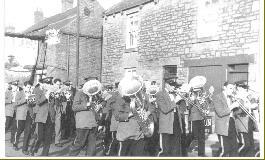 Our area contains many ex mining communities, where community spirit has been eroded by the loss of a traditional way of life, but we believe that they can regenerate themselves using the cultural capital accrued through tradition and maintained by festival and exhibition. We aim to ensure that the unique heritage of these communities is not lost to successive generations. We are already doing this through work within local schools, through the production of a video ‘Greenside’, personal reminiscences of local people around the pit and through events raising community awareness of local heritage. 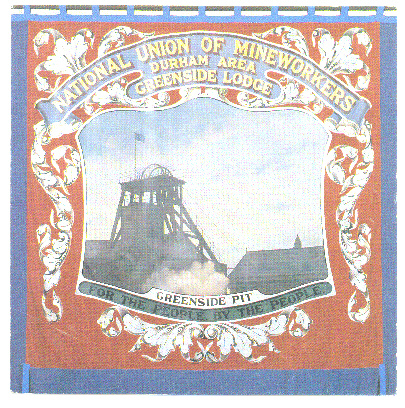 We have focused on the restoration and display of the Greenside pit banner and reviving the tradition of taking it to the annual Miners Gala in Durham. The gala has always represented the heritage of the mining industry, showing family and community tradition and the pride people in mining communities were famous for. The pit banner can and does still act as a focus for community activity and as a symbol of local heritage that should not be forgotten. Commission of a new Greenside banner, the current one is in such a poor state of repair that it will not last another outing. Development of a local history exhibition with the old Banner at the heart of it. Development of a schools pack with a range of audio visual materials. Production of an updated and expanded video. Recruitment and training of volunteers to deliver educational talks in local schools and organise workshops in communities across West Gateshead. Research on other local banners – awareness raising and running workshops within those communities.